The Ashanti Kingdom dates back hundreds of years, but it had the greatest power and influence around the 18th century (1701-1800). Because of the extent, power, and wealth of the Ashanti Kingdom many luxury goods were designed for the royalty. Things such as gold necklaces, brass medallions, and kente cloth were common place. These great works of art are still made today in the country of Ghana. The most interesting and unique luxury good to come out of the Ashanti Kingdom is the kente cloth. Kente is a traditional Ashanti (Ghanaian) fabric that is entirely hand-woven with brilliant colours. Kente is usually woven as strips and then combined into a larger piece of cloth that is sewn into outfits for special occasions. 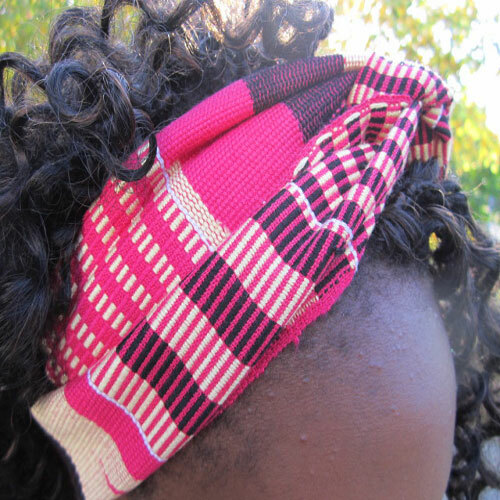 Today, kente can be fashioned into headscarves, clutches, shoes and much more! Every design has a story and every colour has a meaning, so when you purchase kente think about what message it will convey. The Akan people of the Ashanti Kingdom are fond of proverbs. The Akan created a series of symbols to capture concepts and characteristics. Today, adinkra symbols are used in jewelry, clothing and textiles, masks and carvings, and much more! Below are a few of the most popular adinkra symbols. Gye Name – Meaning: Except for God. This symbolizes the greatness and supremacy of God in Ghana. Sankofa – Meaning: Go back and get it. This symbolizes learning from your past. Akofena – Meaning: Warriors Sword. This is a symbol of courage and valor. 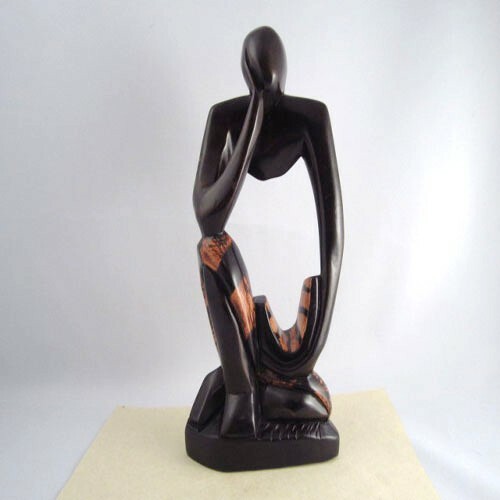 A fine lineage of wood carvers and craftsmen come from the Ashanti region in Ghana. Many different types of wood are used to make various masks, fertility, stools, and drums. 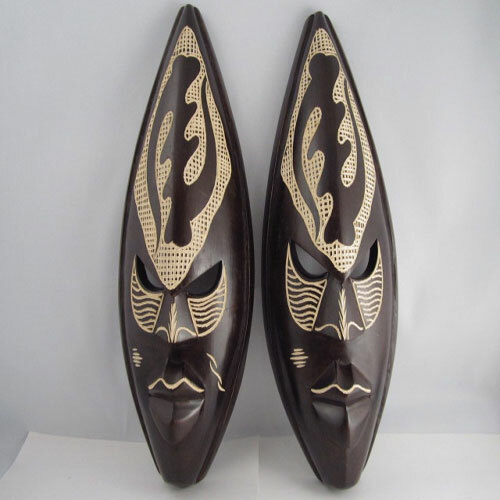 Today in Ghana you can find a wide variety of wood products for your home and office décor or to purchase as a gift. Most wood products have a meaning much like the kente scarves or the adinkra symbols. Nowhere else in the world but Ghana will you find such expertly crafted and meaningful wood carvings. Wondering Who to Follow on Pinterest? Great to see you have posted this! The people of Ghana have a lot to offer in the world of art, fashion, and interior design. I hope this will open the eyes and broaden the horizons of those looking for unique fashions.